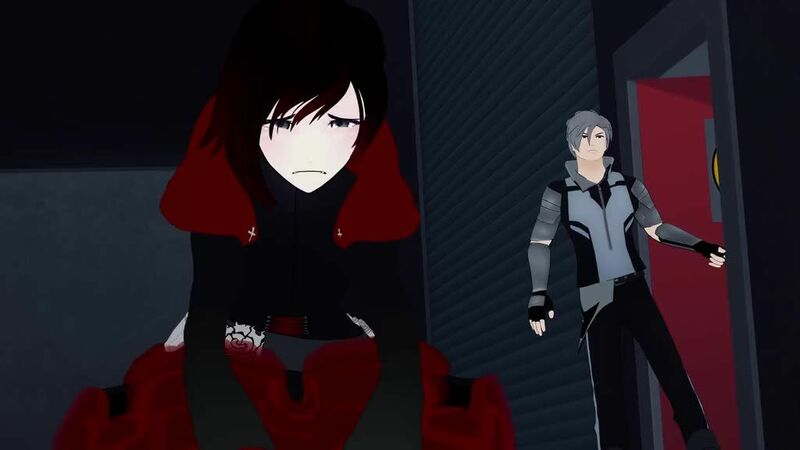 You are going to Watch RWBY Volume 3 Episode 9 online free episodes with HQ / high quality. Stream cartoons RWBY Volume 3 Episode 9 Online The match between Pyrrha and Penny begins, with both of their respective headmasters observing this time. Meanwhile, Ruby attempts to flee from Mercury, but he prevents her from doing so. During the match, Emerald casts her Semblance on Pyrrha, causing her to hallucinate Penny summoning hundreds of her swords. Pyrrha then uses her Semblance to deflect them all, but the wires attached to the swords start to coil around Penny’s torso and arm, causing her to be brutally ripped apart. Everyone in the colosseum is horrified of the events that took place, and Cinder broadcasts a message saying this is what happens when people place their trust in the Kingdoms and the Huntsmen Academies. Meanwhile, massive hordes of Grimm start to make their way to Beacon. Neo breaks Torchwick out of prison, and he cripples Atlas’ air force. The White Fang led by Adam also arrive with Grimm in tow.